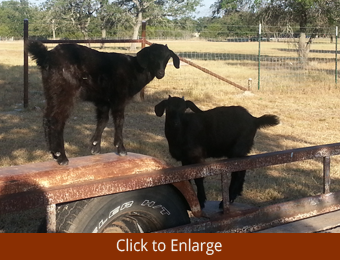 Black Spanish Bucks are $350.00 each. 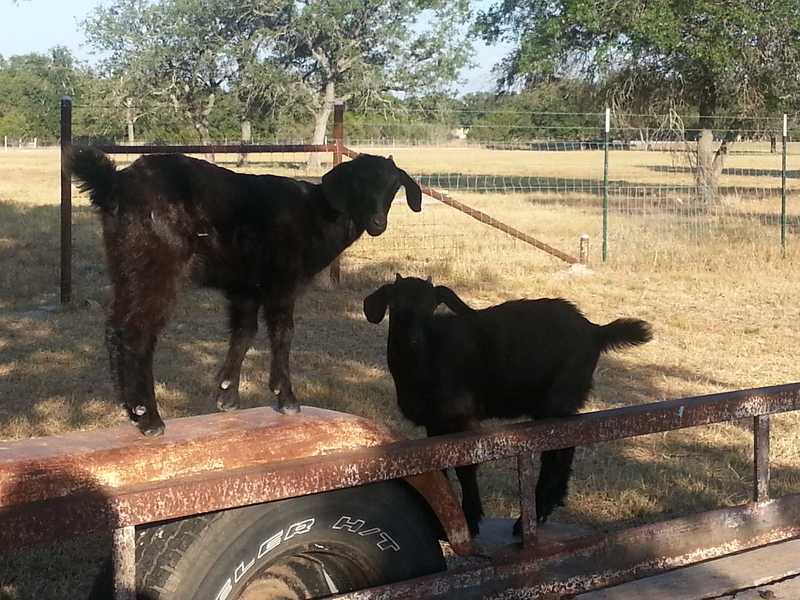 Does are currently $250.00. 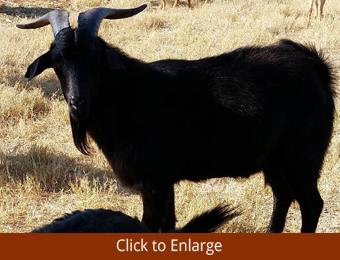 (Does will be $300.00 effective 1 September 2019). 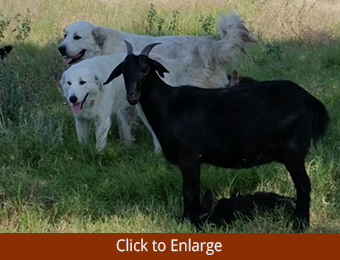 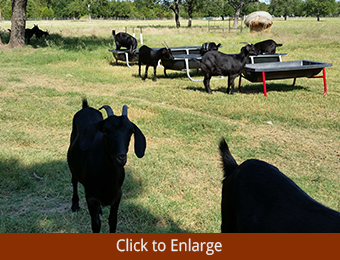 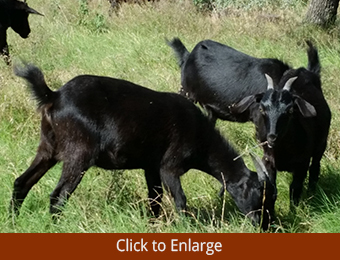 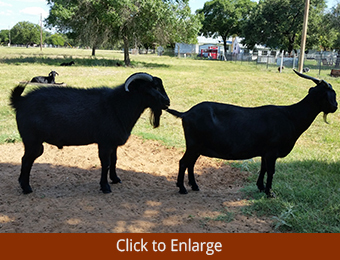 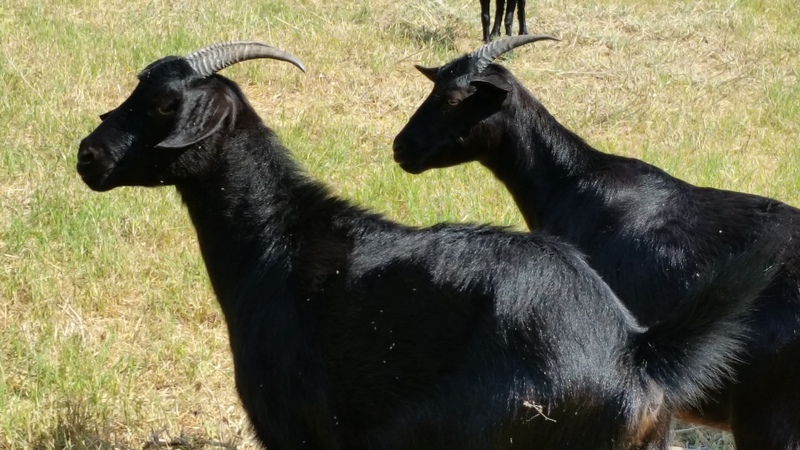 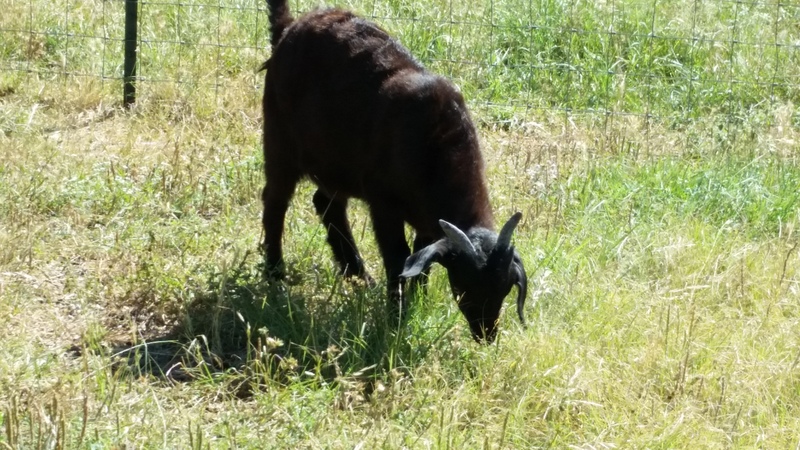 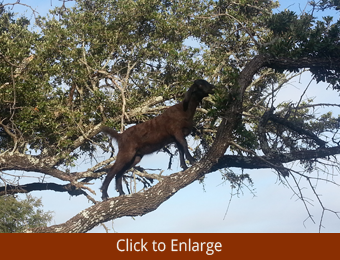 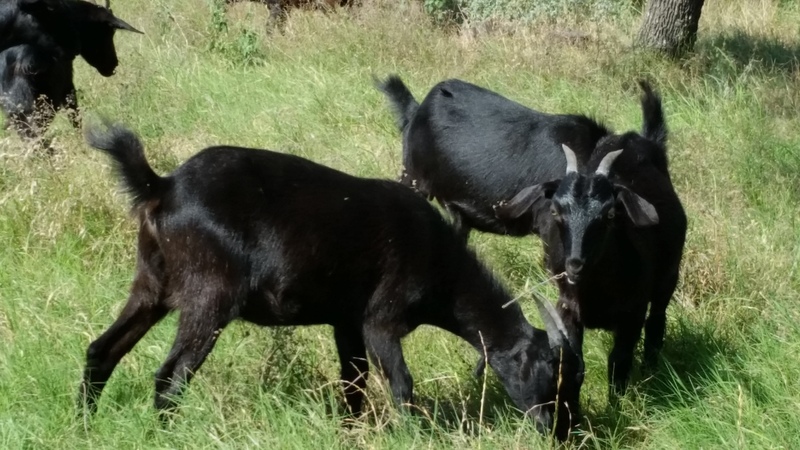 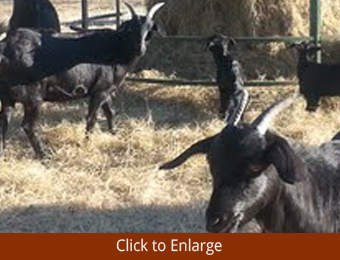 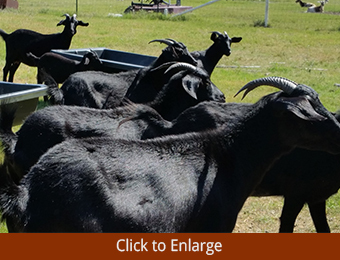 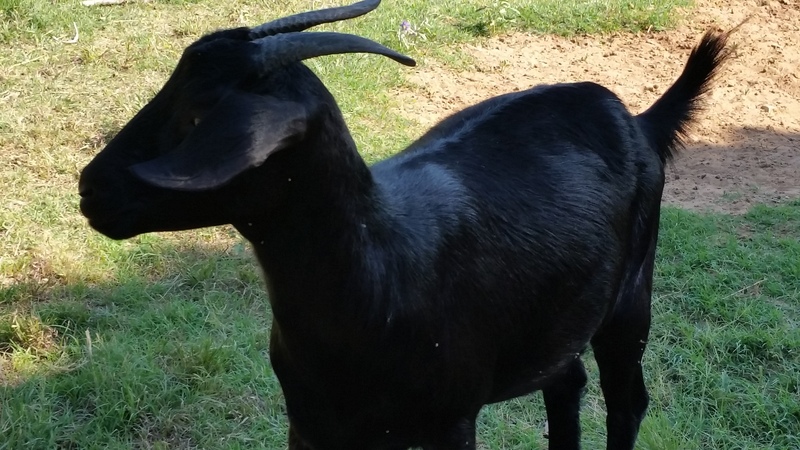 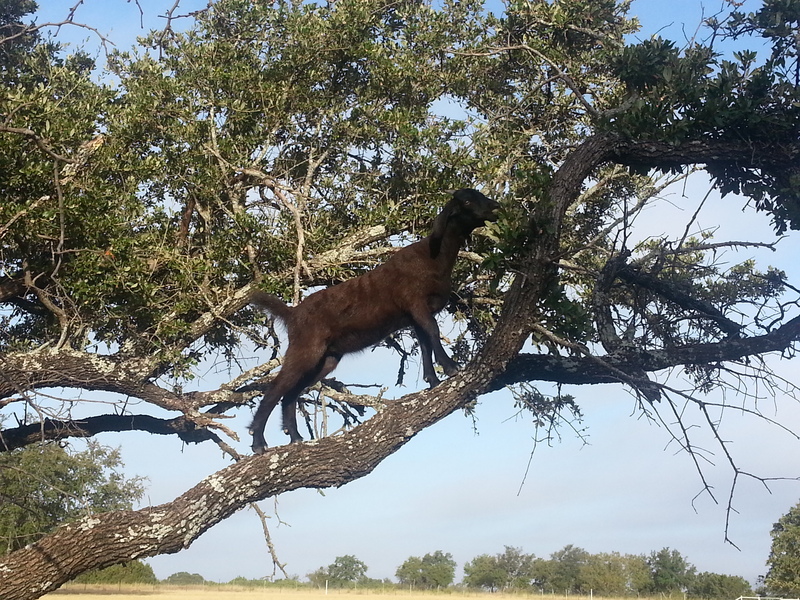 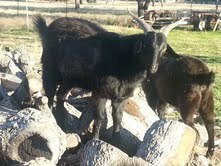 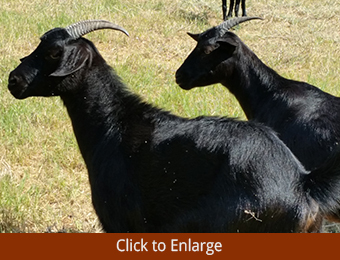 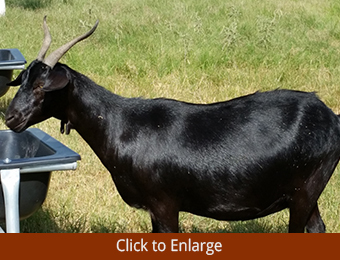 At Lone Star Goats, we raise black Spanish goats from the Syfan bloodline. 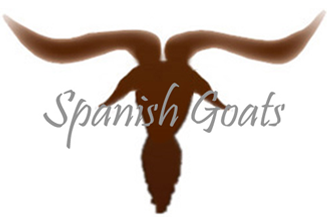 Spanish goats are a pure breed, but they are also known as "brush goats," "scrub goats," and "woods goats." 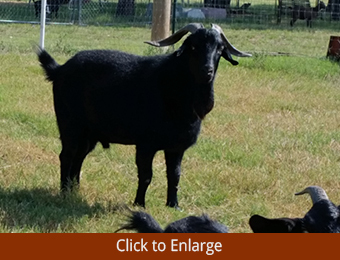 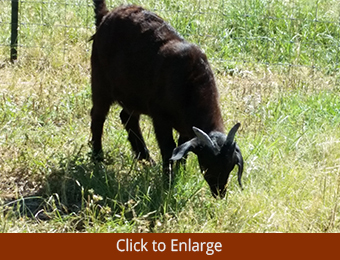 Many owners have crossbred these goats, but our herd is purebred and solid black. 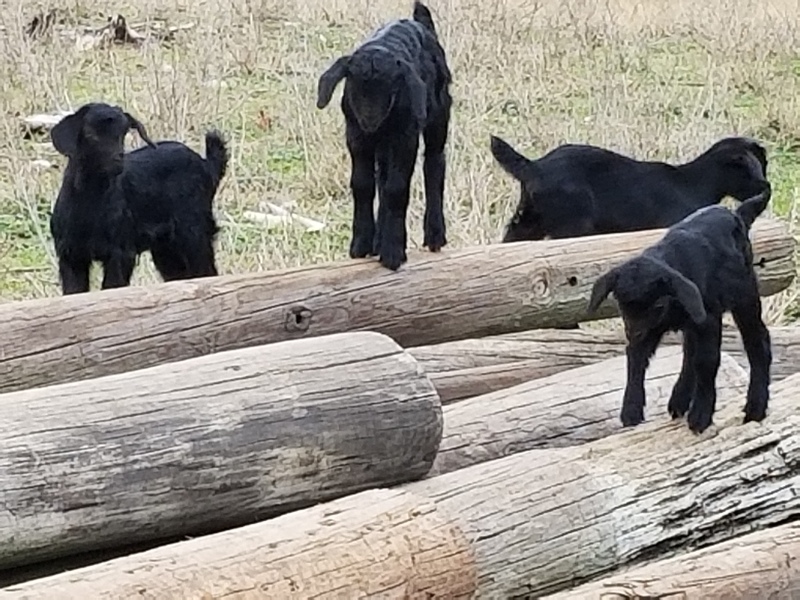 We generally have kids for sale in the Spring and Fall. 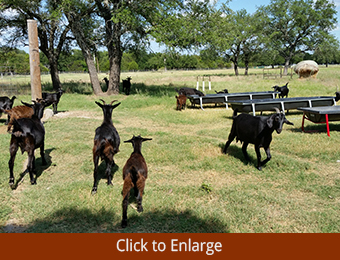 Contact us at lonestargoats@gmail.com for availability. 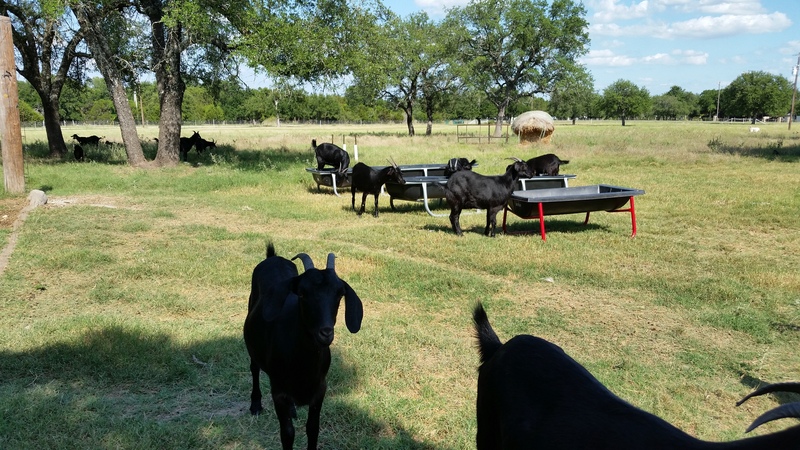 My Dad started this Black Spanish herd from just a few goats in 2012. 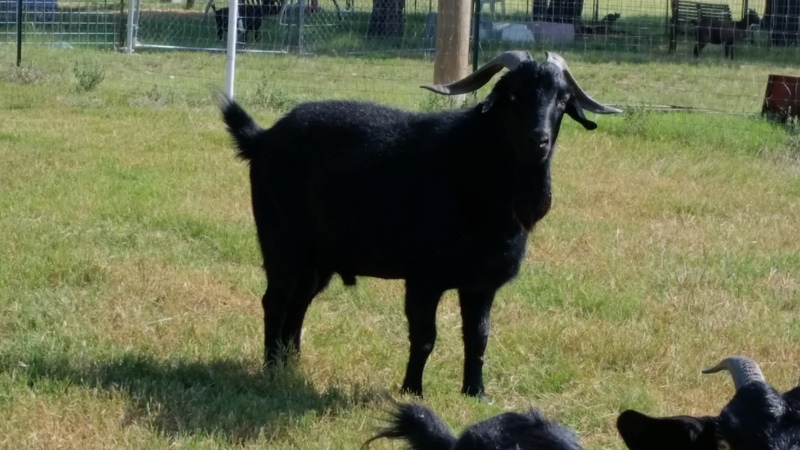 He has since passed, but we are keeping his herd going by buying our billies and replacement does directly from the 3 Mill Ranch in Harper, Texas, where the Syfan bloodline was started in 1955 by Tom and Meta Syfan. 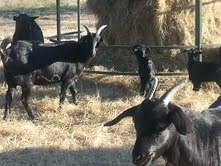 Our herd has grown to about 50 head, and we sell the kids to folks interested in this hardy breed. 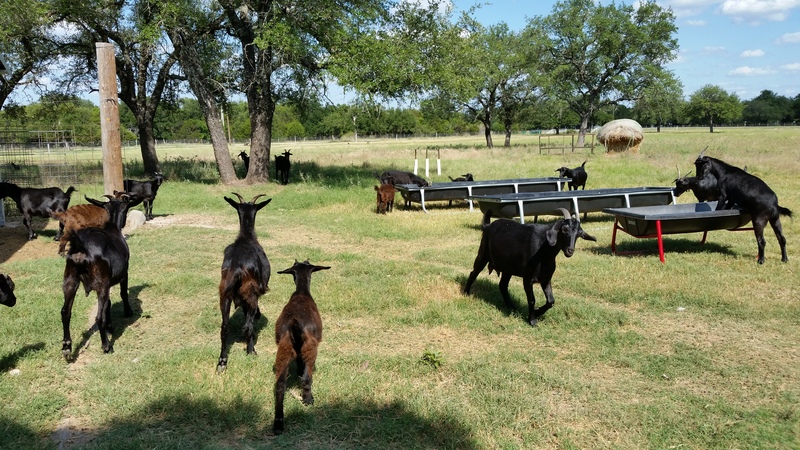 We keep only a solid black herd, following in our father's tradition and preference. 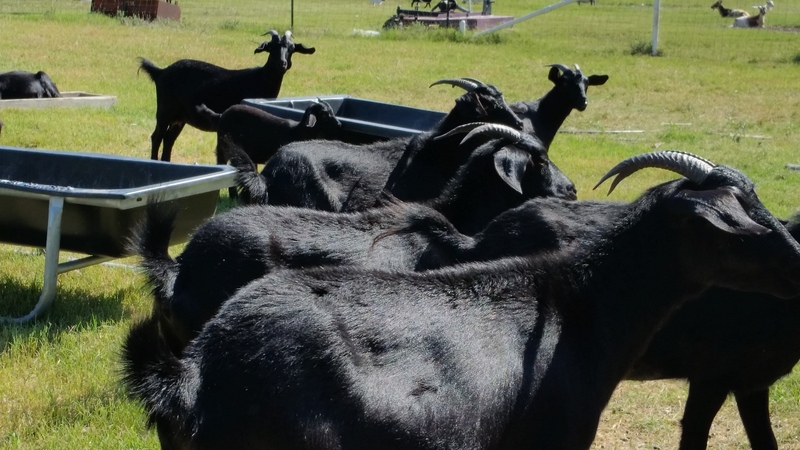 The Spanish goats in the United States are tried-and-true, which is why they're so popular in the south and southwest. 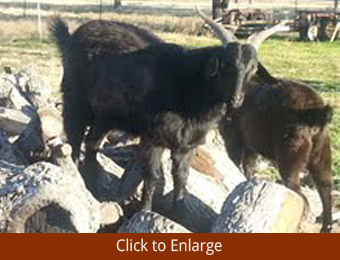 This breed can handle almost any hot climate and rugged terrain. 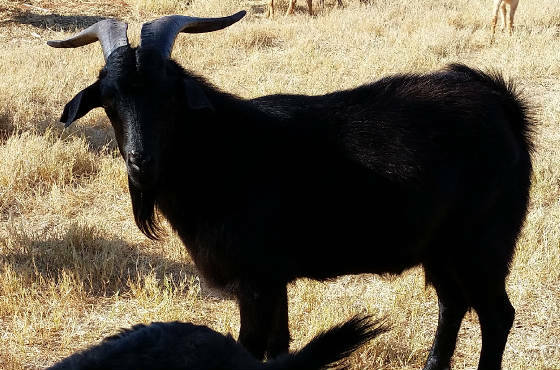 Strong, fertile, and parasite-resistant, this is the kind of goat that farmers and ranchers dream about. 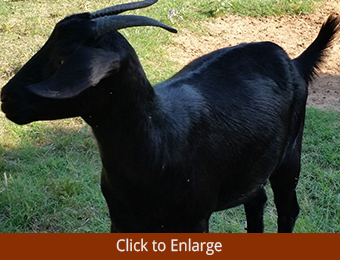 A heavier goat, they are also great at cleaning up brush and are very low-maintenance. 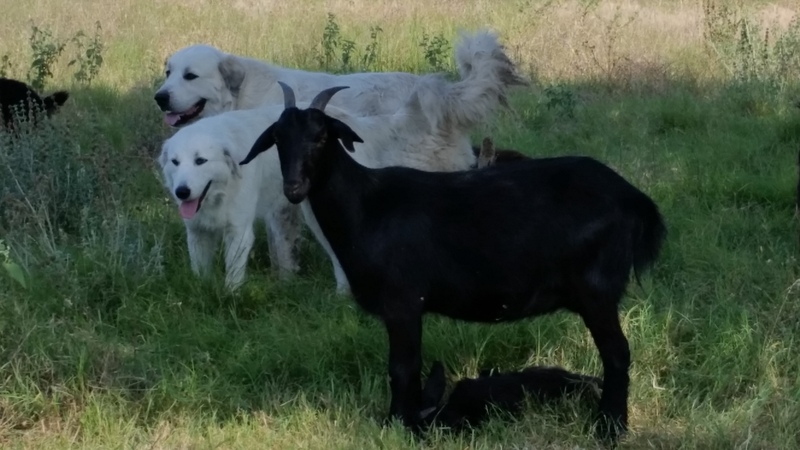 The nannies are excellent mothers, too. 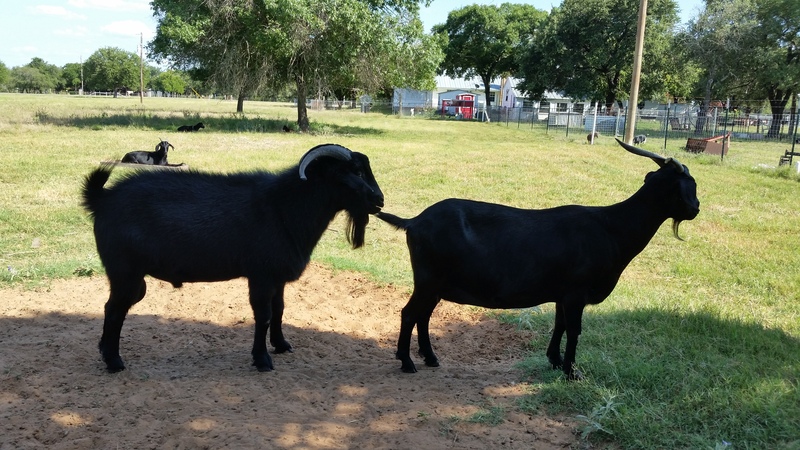 You can't ask for much more than that. 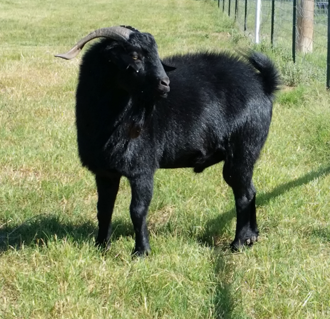 Contact us if you would like to add this very hardy breed to your herd. 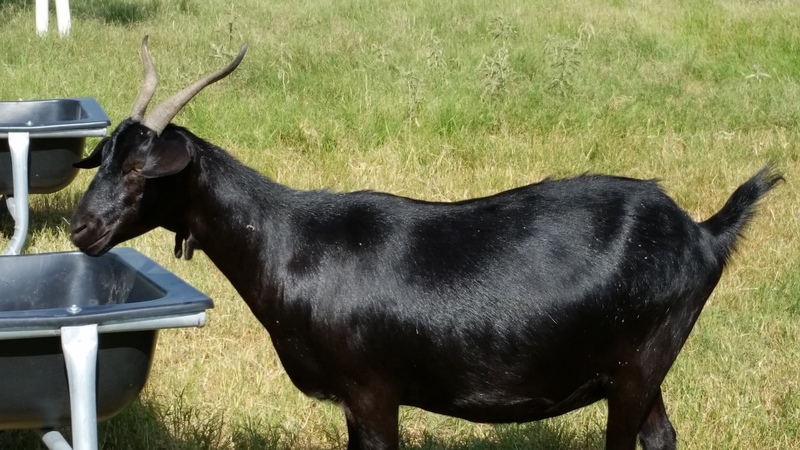 We Do Not Ship Goats.